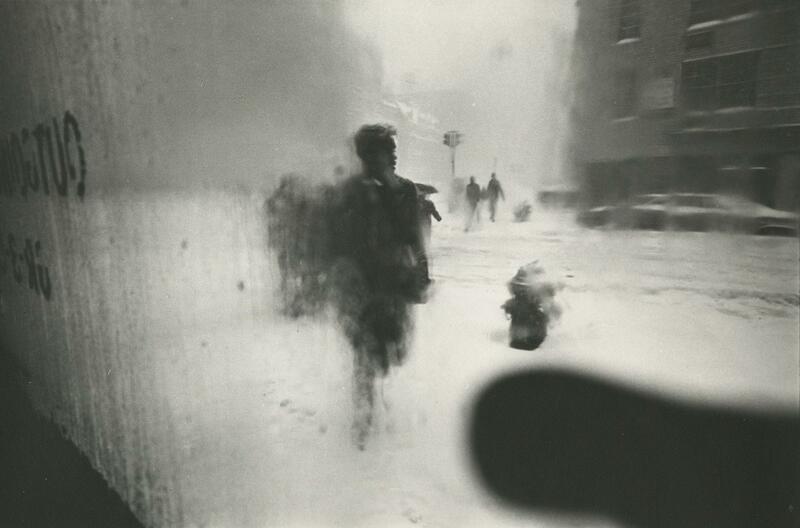 In a 2006 interview, photographer Saul Leiter spoke with Lake Effect's Mitch Teich and Lisa Hostetler, who was formerly curator of photographs at the Milwaukee Art Museum. 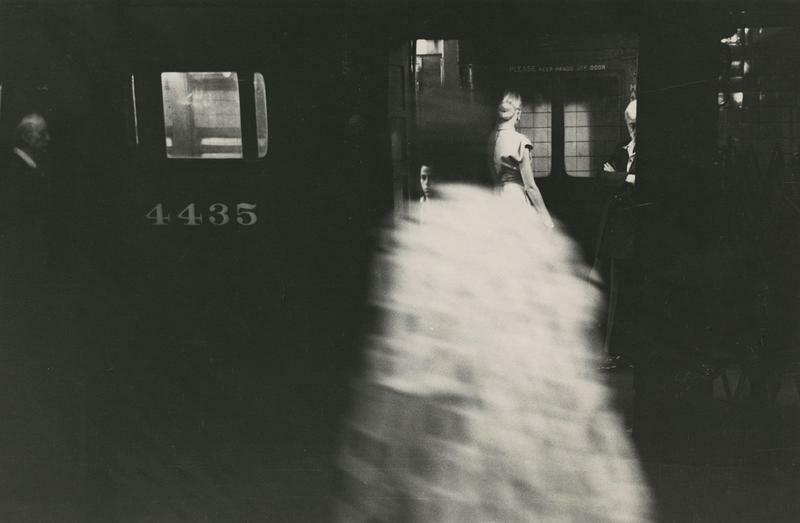 Photographer Saul Leiter is finally getting the international attention his fans think he's deserved for more than a half-century. 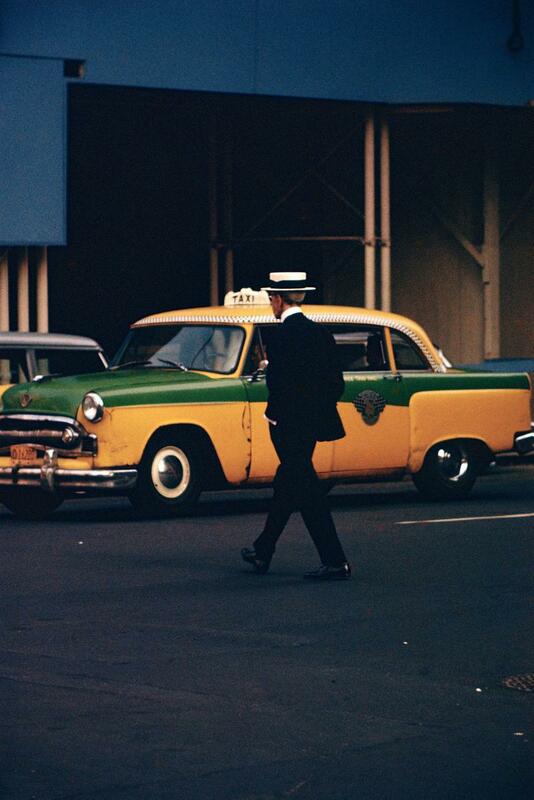 Leiter, who died in 2013, was a pioneer in photographing street scenes - in color. A major retrospective exhibit of his work is on display now in London, at The Photographer's Gallery. The exhibit has been written about in publications around the world, from The New York Times to the Washington Post and CNN. But almost ten years ago, the Milwaukee Art Museum hosted a significant exhibit of his work. It was while that exhibit was on that Leiter gave the first - and only - radio interview of his life, on Lake Effect. Leiter looked back at the circumstances in his life that led him to become a photographer at all. Born in Pittsburgh, his family expected him to become a rabbi, like his father and his grandfather. Leiter's father, in fact, wrote an influential book at the time about divorce in the Jewish faith. Growing up in circumstances he says were unhappy, Leiter pointed out the irony of the book to his father. "When I was eleven or twelve [years old]," Leiter recalled, "I asked my father why - instead of writing a scholarly work on divorce - why he didn't get one himself?" Leiter laughed at the memory, and remembered his father laughing at the suggestion, too. Leiter decided that becoming a rabbi was not what he wanted from life. "We live in a world full of expectations," he said. "And if you have the courage, you ignore the expectations." Expectations successfully ignored, Leiter moved to New York with thoughts of becoming a painter. A friendship with artist Richard Pousette-Dart steered him towards photography. "And so I started taking pictures," he said, "and I thought, 'well, maybe this could lead to something'." Leiter initially found work taking portraits - in black-and-white. 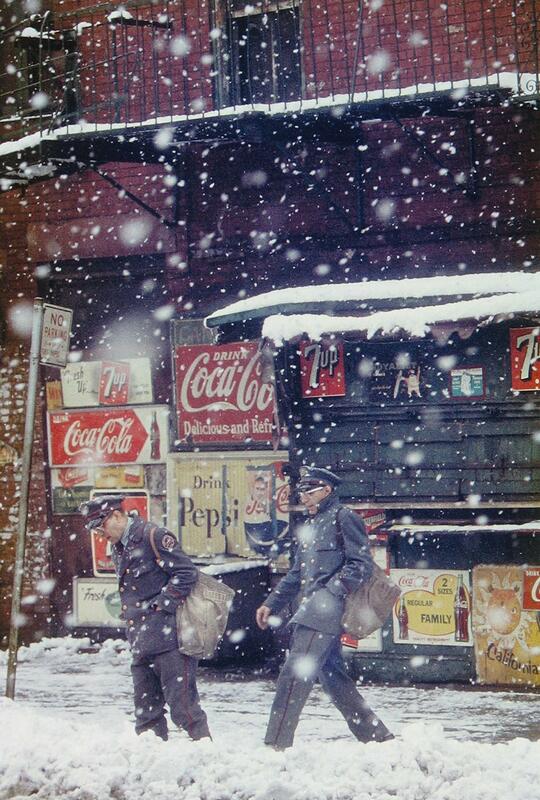 He first began using color film to document street scenes in the 1950s, finding moments of stillness within otherwise busy places. Art critics were not kind about color photographs in those days. "I think the art world is afflicted with mistaken notions during certain periods, and they become very prevalent," he said. "And people take them very seriously. But eventually they're abandoned and seen as very silly and unimportant. Color has always aroused suspicion in the minds of certain people." But rather than focusing on the heresy of using color in photography, critics today point to those moments of quiet, which give his photographs a subtle complexity. With his trademark giggle, Leiter didn't completely dismiss the idea that his pictures are complex. "Whatever complexity people find in the work that I do," he said, "must be there, because they find it. I have not set out to be complex. "I think when you take a photograph, if it turns out to be something good, there's a kind of Zen element that takes place. It's difficult to describe. People talk of controlling, but it's not true. You can't control the swirl of reality. If you're very lucky, from time to time, you do something that is good." 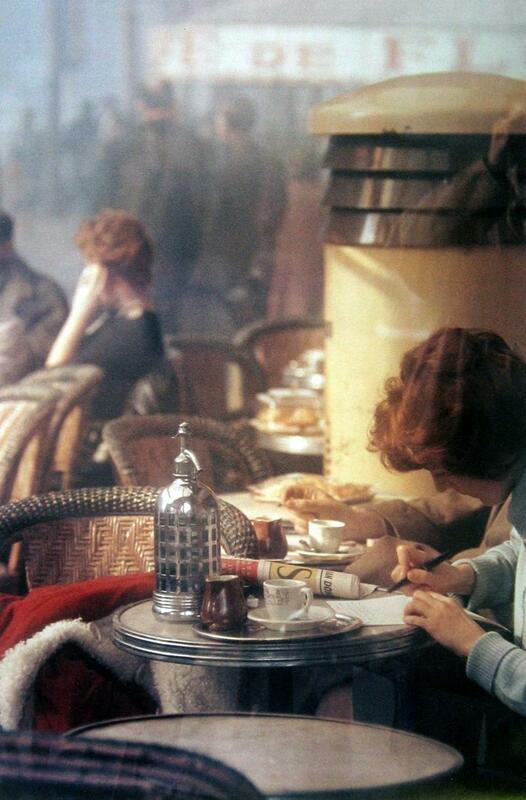 And so whether it was seeing two postmen out in a 1952 snowstorm or a woman composing a letter in a Paris café, Leiter looked away from the "areas of disturbance," as he descibed it. "I happen to believe in simple things and the beauty of simple things. I believe that the most uninteresting thing can be interesting."